Each time you visit a doctor about your COPD, go over the medications you’re taking including dosage and when you take them. 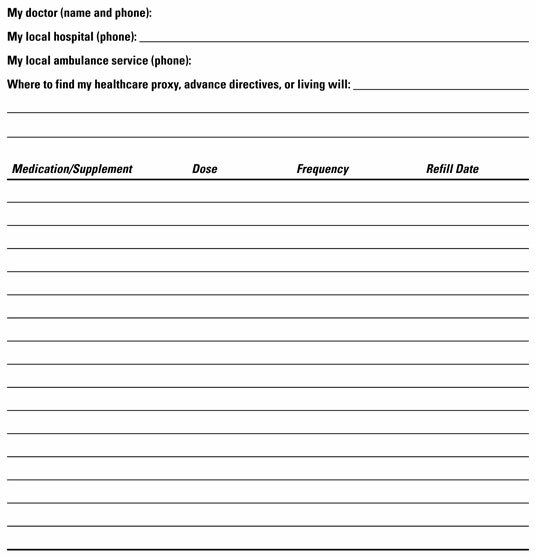 Record the information on a chart, like the following, and keep it with you and post a copy on the refrigerator where loved ones can find it in case of emergency. Remember to include not only prescribed meds, but any over-the counter medications and vitamins or supplements you take.